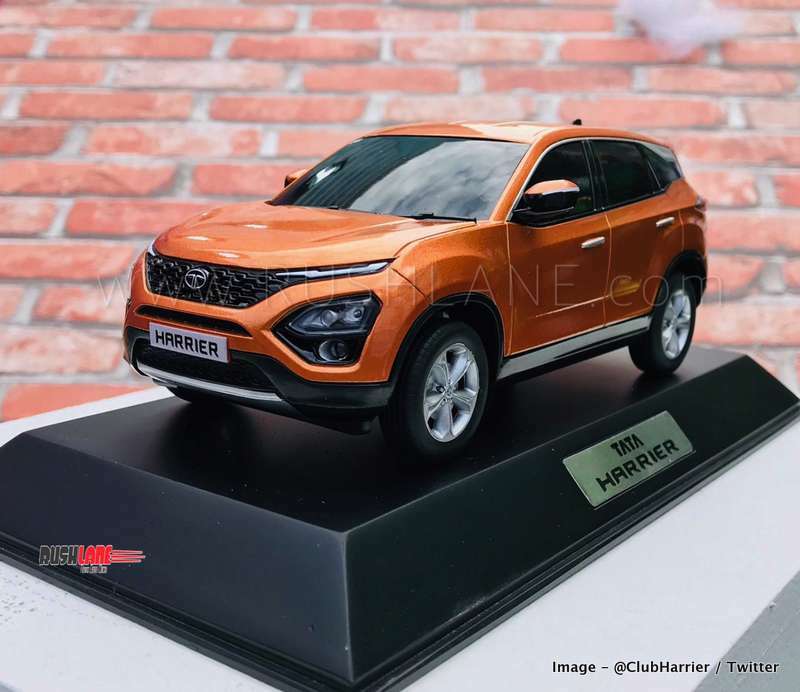 Today is the first time Tata Harrier is being showcased to the public. 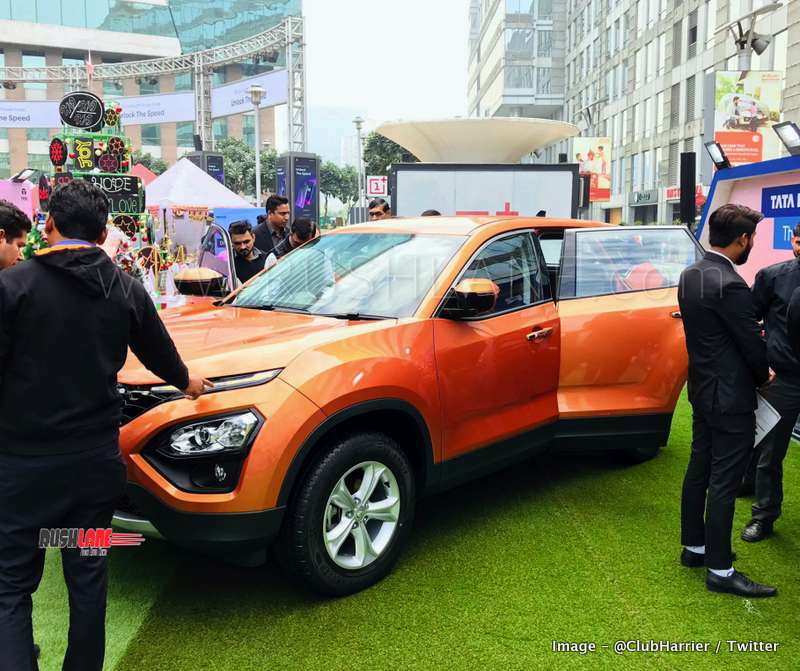 Coming to showrooms in early 2019, Tata Harrier has staked claims to create new benchmarks for SUVs in the country. Ahead of arriving at dealers, the Tata Harrier is making 11 city tour across India, starting today. Tata Harrier is now on public display at the DLF Mall in Gurgaon. It will next head to Bangalore, Delhi, Lucknow, Ahmedabad, Chandigarh, Chennai, Kochi, Pune, Mumbai and Hyderabad. People can now take a detailed look at the Tata Harrier production ready cars. Though test drives have not started yet. And for those who book the Harrier at these public showcase events, are being given a scale model of Harrier as free gift. Claimed to be the best Tata car ever, Harrier is derived from Land Rover’s D8 architecture. Tata is calling it the Omega Arc – short for Optimal Modular Efficient Global Advanced Architecture. Harrier’s exteriors and interiors follow the Impact Design 2.0 philosophy that ensures the best outcomes in terms of styling and comfort and convenience. Harrier makes a dominating stance and is sure to get a second glance on the roads. Key features include Xenon HID projector headlamps, LED DRLs that double up as turn indicators, flared wheel arches with cladding, 3D LED tail lamps and floating roof with bold chrome finisher. Interiors too will instantly make you proud with premium features such as 8.8 inch floating island touchscreen infotainment system, satin anti-reflective ‘Nappa’ grain dashboard, leather wrapped steering wheel & gear shift knob, chrome accents, Benecke-Kaliko oak brown perforated leather seat upholstery and door pad inserts, and aero-throttle styled piano black parking brake. Harrier scale model being gifted to those who book the SUV at public showcase events. Tata Harrier is powered by 1956 cc, 2.0L, 4-cylinider turbocharged diesel engine, sourced from Fiat. It generates 140 PS power and 350 Nm torque. It also gets multiple drive modes (Eco, City and Sport) that work with ESP terrain response modes of Normal, Rough and Wet to ensure optimal driving dynamics. Harrier comes with a comprehensive range of safety and security features such as 6 airbags, ABS with EBD, electronic stability program (ESP), electronic stability control, electronic traction control, roll over mitigation, reverse parking camera, immobilizer, speed sensing auto door lock, hill hold control, hill descent control, fog lamp with cornering function, and ISOFIX child mounts. These will ensure a safe journey every time you drive your Harrier. Bookings for Tata Harrier are open for Rs 30,000. Expected price is in the range of Rs 16-21 lakhs.